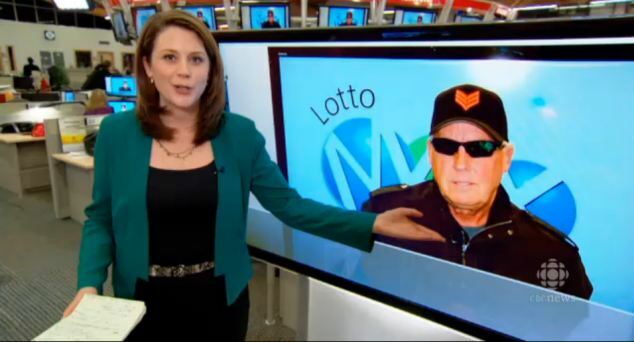 When Tom Crist’s mobile rang on his way to play golf in May, the last thing he was expecting was a call to say he’d just won $40million (£24.5m) on the lottery. Not knowing what to do with the money, Crist kept the win a secret even from his own four children, hung up the phone, and finished his round. But yesterday 64-year-old went public, saying that he will donate every single cent to cancer charities after his wife Jan died from the disease in February last year, aged just 57. The couple had been married for 33 years. Speaking to CBC News, the former company CEO said: ‘I’ve been fortunate enough, through my career, 44 years with a company. He added that his wife would be ecstatic to know he was donating the win, and says he will start with the Tom Baker centre who helped treat Jan during her illness. The family, who are backing Crist’s plan, will then set up a trust fund which will parcel out the rest of the money to various cancer causes over the years. Crist retired as CEO of EECOL Electric in September, following the company’s CAD$1.14billion sale in December last year. Crist won the May 3 Lotto Max draw with the numbers 4, 6, 21, 26, 30, 34 and 35 but pays for his tickets by subscription, and so didn’t pick the numbers himself. 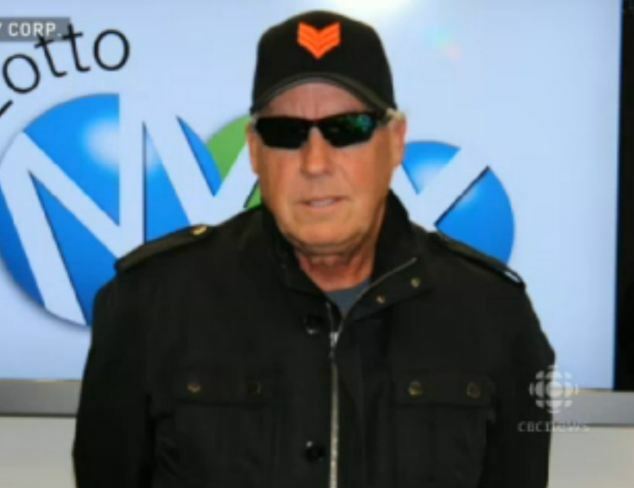 During his photocall and interview, mandatory for all big lottery winners, Crist opted for a baseball cap and dark sunglasses to take as much attention away from himself as possible. The Tom Baker cancer centre is based in Calgary, where Crist lives, and provides advanced cancer care for patients, as well as carrying out research into the condition.